Rebecca Sedwick was just twelve years old when she took her own life as a result of unrelenting bullying by two older girls at her school. Unfortunately, stories like Rebecca’s are becoming more and more common, and social media is playing a significant role. Yet, although bullying has always existed, in this increasingly connected world, children are finding themselves in a position where they can no longer find solace outside of school. 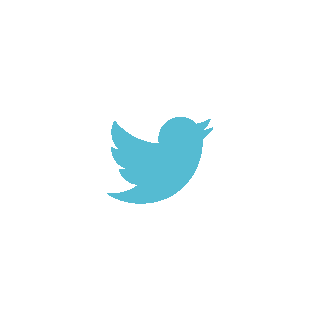 Instead they are available targets twenty-four hours per day, seven days a week, by way of social media. Sadly, even if they themselves aren’t connected, they can still fall victim to having malicious gossip and hateful comments circulated online. The implications of this are very real and incredibly disheartening. According to a recent study by Yale University, “Bullying victims are between 2 to 9 times more likely to consider suicide than non-victims”. 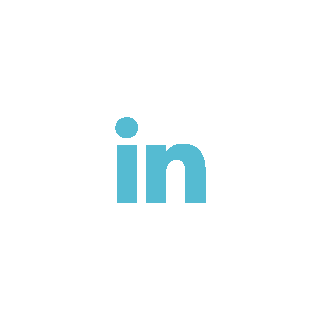 To better understand cyber bullying and the role of social media, Social Radar, a social listening analytics tool by Infegy, was used to analyze hundreds of millions of online conversations. 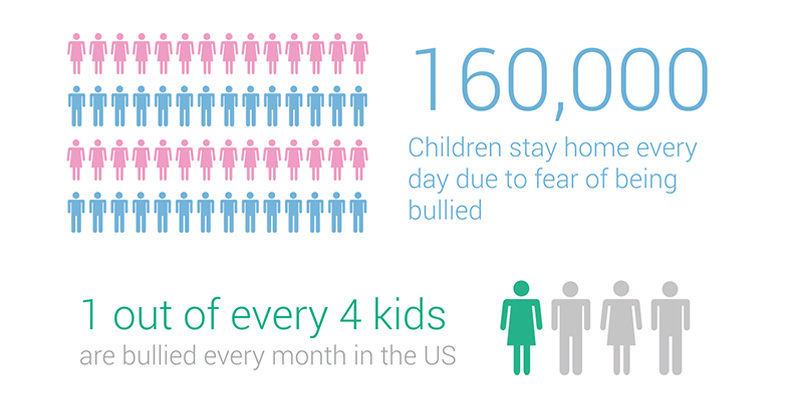 Within the past year, the topic of bullying has been discussed online over 500 million times. By comparison, in 2007, there were only around 250 thousand conversations involving the topic of bullying being discussed in social media. 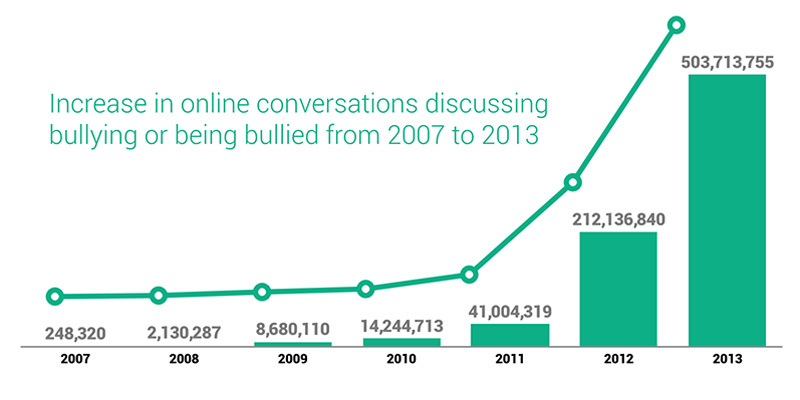 This large rise in total number of conversations represents both an increase in bullying online, or cyber bullying, and increased awareness of the devastating effects bullying can have on victims and families. 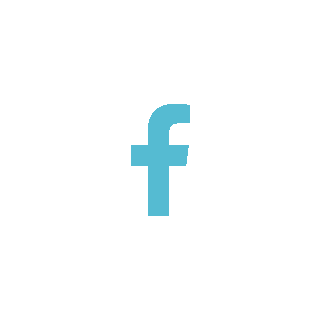 In conversations involving cyber bullying, 26 percent of all conversations included references to social media sites, such as Facebook, Pinterest, Snapchat and Instagram. 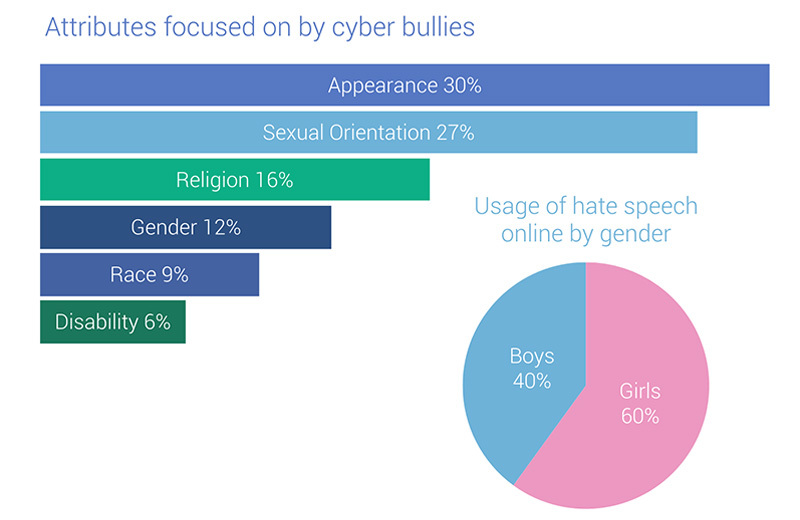 The main attributes focused on by cyber bullies were race (9 percent), religion (16 percent), gender (12 percent), sexuality (27 percent), and disability (6 percent) with the top reason being appearance (30 percent). Women were these hate words more than men. In fact, 60 percent of hate words expressed online came from women. 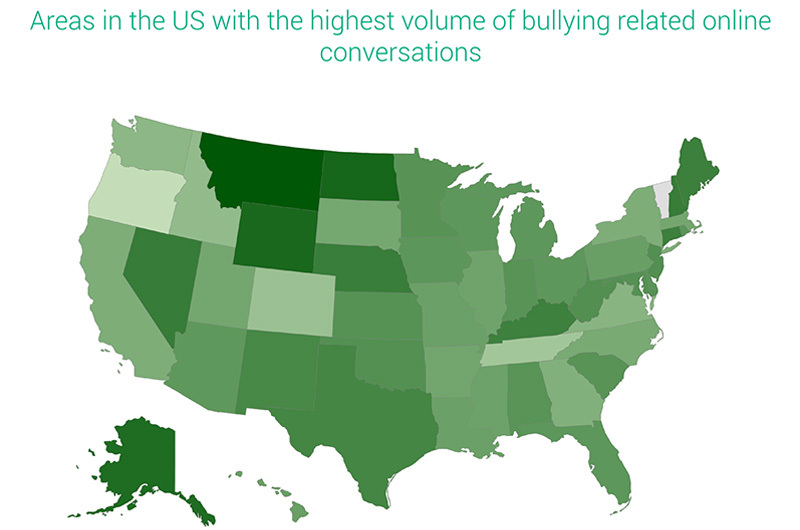 The states with the highest concentration of bullying related conversations were Montana, Wyoming, North Dakota, Kentucky, Nevada, Maine, Connecticut, Nebraska, and Alaska. Conversations related to bullying discussions in Montana, North Dakota, Kentucky, Nebraska, Wyoming and Nevada were largely positive in sentiment. This was due to recently enacted state laws that prohibit bullying. 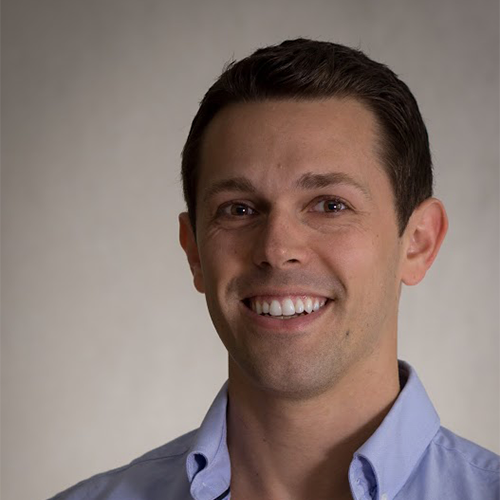 The conversations around bullying in Connecticut and Maine were also positive but largely focused on laws that prohibit discrimination based on sexual orientation. 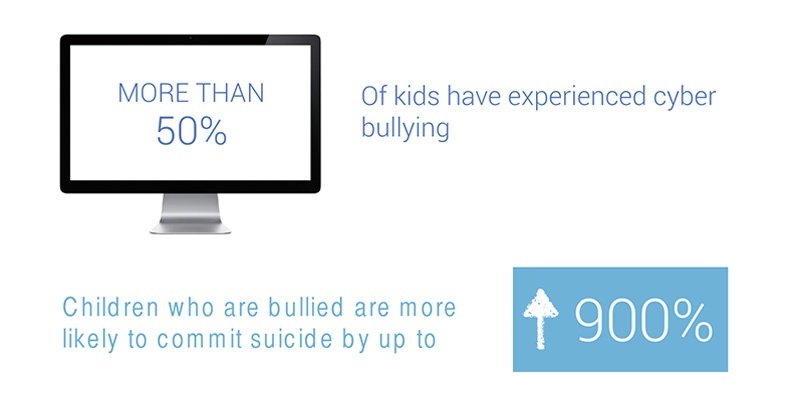 Research revealed that the highest volume and concentration of conversations related to bullying were focused on the steps being taken to bring awareness to and prevent future bullying. This was an incredibly positive revelation in an otherwise melancholy reality. It signals that perhaps the time has finally come to stop ignoring bullying as simply a fact of growing up. It signals that just maybe our society has realized the damaging effects bullying can have on victims and the families of those victims who resort to taking their own lives to escape the brutality.